It’s Skin Care Awareness Month, and we at ATOPALM feel that it’s our duty to raise awareness not just for skin care, but for moisture-driven skin care. Our K-Beauty products moisturize like nothing else you’ve ever used, and we believe that it’s the key to healthier, more beautiful skin. The skin’s natural lipid layer is designed to protect your skin against external elements while simultaneously supporting a healthy hydration level. When the skin is properly hydrated, it retains a comfortable texture, a healthy radiance, and a youthful suppleness. Similarly, skin that appears aged or damaged is often dehydrated, and shows more severe signs of compromised health than skin that is properly hydrated. 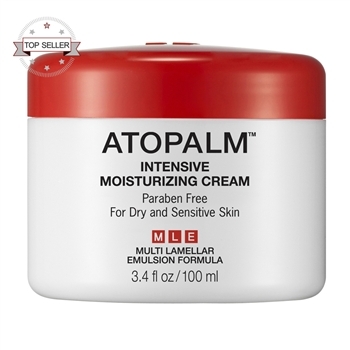 ATOPALM MLE is able to keep skin moisturized by repairing and supporting the skin’s actual lipid layer. MLE doesn’t try to replace the lipid layer or simply make skin “feel better” — rather, it gives the skin the ability to repair and protect itself by restoring the actual lipid layer. MLE is able to accomplish this by perfectly mimicking the skin’s Maltese Cross Pattern. In short, under a microscope, MLE and the skin’s natural molecules look identical. 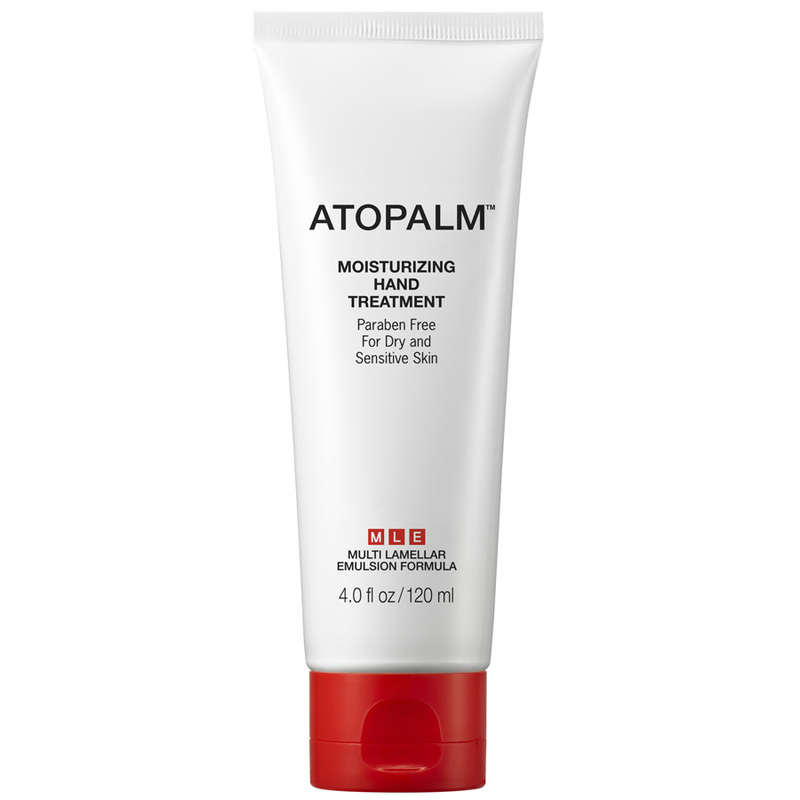 It’s what makes ATOPALM such an effective treatment for dry, dehydrated, and damaged skin. We wholeheartedly believe that you’ll feel the difference when you try ATOPALM for yourself. Gone are the days of using skin care to cover up problems and treat symptoms. Instead, use ATOPALM to target the root cause of most skin issues—dehydration and damage to the skin’s lipid layer. Here’s a look at a few of our fan favorite Korean skin care moisturizers for repairing and protecting skin against dehydration, damage, and discomfort. 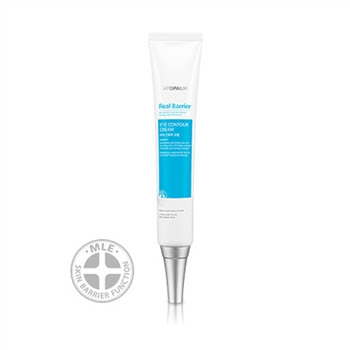 Real Barrier Eye Contour Cream uses peptides to support skin elasticity, and a combination of MLE and hyaluronic acid to moisturize and plump skin, resulting in a reduction of fine lines. On top of that, Real Barrier’s three-calming complex comforts and soothes even the most sensitive of skin types.